The week of Sunday, October 21 through Sunday, October 28, has been designated Family Promise Week and will be celebrated nationwide. Family Promise Week will bring attention to the crisis of family homelessness and the efforts to address it in communities across the country. We also believe that Family Promise Week is the perfect occasion to increase awareness of the issue of family homelessness. During the week, we hope that our supporters will give thought to the fact that children and their families make up nearly 35% of all people who are homeless, and that children themselves represent one out of every five homeless people. In recognition of national Family Promise week, FPCCT is taking the opportunity to “Stock Up for the Winter.” Please download the flyer here: Stocking Up for the Winter. We will also be posting special content on our social media accounts about our volunteers, sponsors, and community partners! As always, we are thankful to all of our volunteers and supporters! A volunteer bringing in a lasagna or a youth group playing board games with homeless children is not just local outreach, it is part of a national movement. Family Promise Week unites our communities in the belief that we can and will end family homelessness. Nicole Miller is a new member of FCPPT’s all-volunteer Board of Directors. She is the Director of Educational Opportunity Programs at Goodwin College and we are so excited to have her join our team! I was introduced to Family Promise by a colleague at work, when she was giving Heather a tour of our campus! I am an educator. I have been in the field for over 20 years and have worked the entire span of education—from Kindergarten through Higher Education. Spending time in New York City visiting with my family. My life’s mission is to pass along knowledge with my voice. Other than Family Promise what are some causes/charities you care about? I am also passionate about working with mental health agencies, in particular Hartford Behavioral Health. Our latest Featured Congregation is Berlin Congregational Church! Our next Featured Congregation will be the winners of the Walk-a-thon challenge! The winning team will be announced at the Walk! Walk-a-thon to kick things off at 10am! Come and meet Miss Connecticut Bridget Oei at the 3rd Annual Walk Away Homelessness Event on September 29th! In addition to being named First Runner Up in the Miss America Competition this month she has an impressive resume and a focus on helping kids get more involved in STEM! We’re so excited to have this dynamic woman join us! 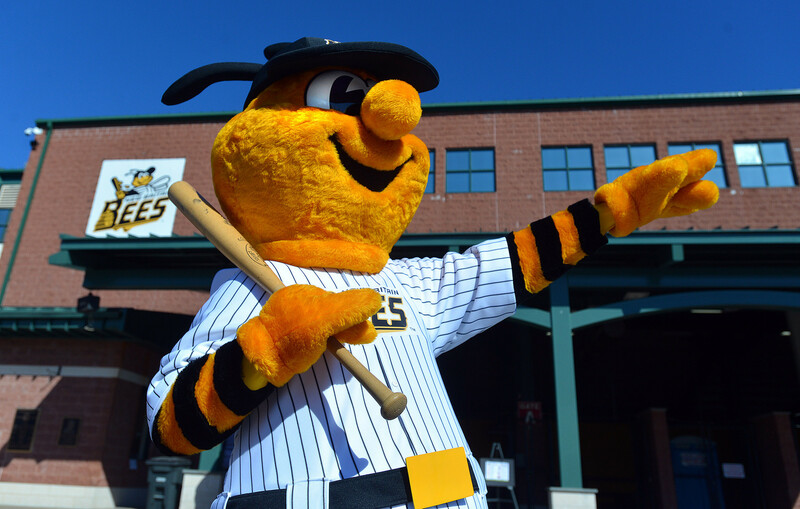 Sting, the mascot for the New Britain Bees baseball team is scheduled to pay us a visit as well as…. 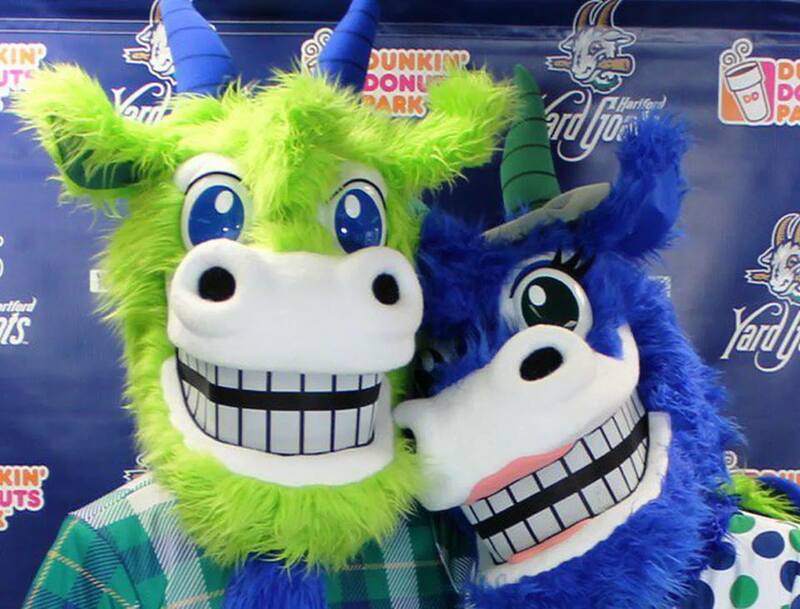 One or maybe both of the lovable mascots for the Hartford Yard Goats are scheduled to make an appearance at the Walk-a-thon! Thanks to our “Believer” sponsor! Walk-a-thon to become a “Believer” sponsor. Thank you for your generous support! It’s not too late to sign up for the Walk-a-thon!